Eureka Cycling staged short criteriums during the lunch break at the (Cycling VICTORIA) 2019 Victorian State Criterium Championships. Eleven dual licensed Eureka Cycling / Ballarat Sebastopol CC members raced in the state champs. Two of those riders then backed up in the Eureka crits! The heat wave and strong winds deterred many from racing with Eureka today, however fifteen hardy/crazy soles still signed on. 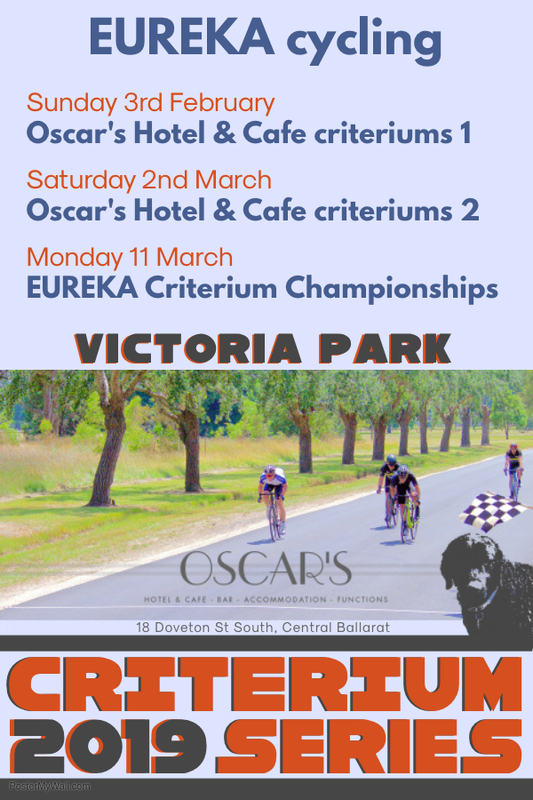 Four divisions raced for vouchers supplied by criterium series sponsor OSCAR’S Hotel & Cafe, as well as vital club aggregate points. The race quickly evolved into a race in two as Mal Rock and Rob Kinna put on a show for the ages. The younger rider proved strongest, however there was post race controversy as both riders fired in complaints to the referee – Bill Goldfinch. Kinna complained that Rock talked too much during the race. Whilst this was immediately accepted as to be highly likely, the ICF rules do not prohibit riders for incessant talking. Three riders got away in a surprise early break in this epic contest. Mark O’Callaghan, Peter Livitsanis and Phil McLennan rolled away from the start line and never looked back (except when being passed by faster bunches). The strong headwind on the eastern straight caused some issues as the three battled their way towards the placings. In the finale, the petite Livitsanis proved the most wiley as he shot clear of the larger boned riders to land the victory. The largest field of the day flew around the circuit. Attack and counterattack was the order of the day. Matt Angus was brave to pin a number on after using the Masters 4 State Championship race as a warm up. Geoff Martin was often seen powering along at the front of the bunch. Cam Farrington was questioning why he chose this day for his return to racing. It was fun, but oh so hot. Shaun Martin was being watchful and tried on occasion to split the pack. Shane Cody was pleased that the stars had finally aligned to allow him to race. Al Cureton was more than comfortable with everything thrown at him. So there they were, six riders virtually unknown to each other. Many new to the club. Yet, hidden in the lot was a past Eureka Club Champion. To the finish and Cody almost pulled off a great victory, yet was denied by Cureton, who on this day had the faster sprint. Pre-race the four riders discussed how they would put on a show for the spectators lining the finishing straight, then ease off and recover around the back, before once again putting on a display for the fans. That lasted all of 50 metres as the race quickly settled into a four man time trial. Tim Wright had power, Matt Ayres pulled long turns, Jason Hendry was brute strength and Dean Wells was backing up from the earlier Masters 4 Championship. The pace was high, especially into the wind as Hendry, Wright and Ayres drove forward. Wells was cunning enough to not be on the front into the headwind, however by the last few laps everyone was trying to do as little as possible. Final lap and Hendry is stuck on the front. Wells goes for the usual long range sprint and barely gets a gap before Hendry winds up and flies past. Hendry finally lands his first ever win. The race may have been short, yet the quartet still averaged 39.5 Kph with Hendry driving the pace for much of the time. 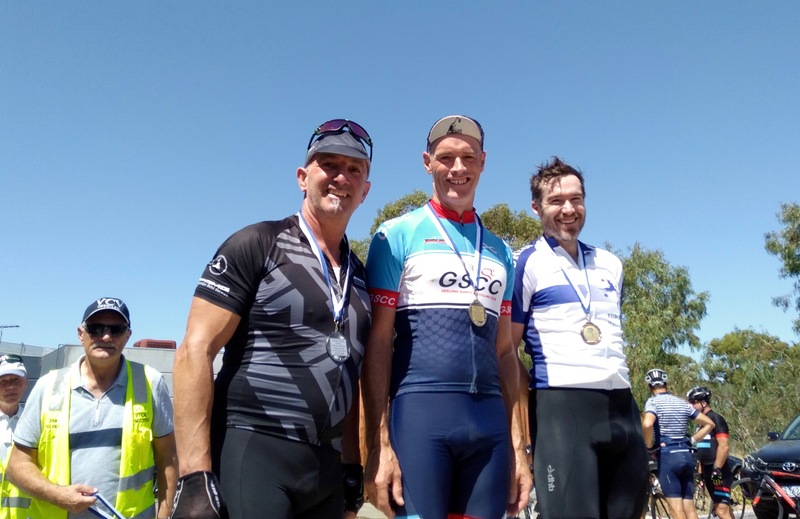 Twenty six riders competed across four divisions on a sunny Weatherboard circuit. 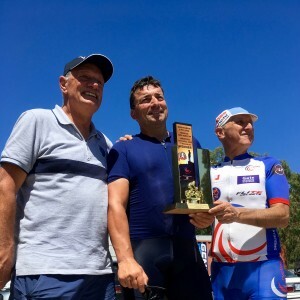 The strong northerly wind made the 50 kilometre races extremely tough for all competitors and proved a factor in each race – either nullifying it, or creating tactical opportunities. As expected with a small field, Division 4 played out in familiar fashion with Jakkii Dawson taking her leave and riding away from Rob Young, Mal Rock and Graeme Parker. Rock would eventually succumb to the relentless wind, however Parker and Young once again united in chasing after Dawson. Another tough hit out for all concerned. Peter Livitsanis took off like a rocket – as per usual – leaving the others scrambling to line up behind him. He swung off and the dynamic Danny Whelan took over. The pace was on right from the start and it seemed everyone had forgotten it was not a handicap race. The bunch worked short turns, however that proved to be the demise of Darryl Brown. Quick up the hill on the first lap but when they reached the Avenue and turned left – things got ugly. The head wind was high and it gained intensity each lap. The menu along the Avenue was Danny on the front for a long entree – in the gutter – then he would swing off after a kilometre or so. Whoever was on his wheel would stay in the sit and follow Danny across the road. Then Danny would stop pedalling and someone would have to take up the front. Bob Morley occasionally took the front and would go up the road but was struggling – due to aerodynamics) for any pace. Just when anyone thought it was impossible to go any slower, Livitsanis would roll through and debunk the idea. After almost doing track stands, Steve Linane would take over and put the race back into the gutter. This pattern continued until the fourth lap when Noel Said he could not handle the pace any more and dropped off the back. Livitsanis was also lost just before the end of the Avenue. Whelan hammered it out of the corner making it impossible for the dropped riders to make up ground. Now it was back to three riders – Linane, Morley, Whelan – for the last lap and a half. Aided by gravity and the strong tail wind, the three wizzed through the chicane on the last lap and were surprised to watch the placegetters from the Division 2 race storm past. Rounding the last corner Morley went on the front. Linane and Whelan took the sit in the crosswind before the final ascent of the Henderson’s Road climb. Up the rise they went, blowing apart as they crested with Linane opening up an unassailable gap over Morley, who had a large gap on Whelan. Linane wining comfortably, with Whelan fighting back to nab Morley near the flag. A line up for the ages in what became an epic race. The first lap and a half turned out to be a sedate affair bordering on neutral. It served as an extra warm up opportunity before the pace lifted. Ash Burke, Matt Ayres and Jim Crumpler doing a lot of work, yet proceedings were still polite with riders providing each other with cover. Through the chicane and the tailwind enabled a high pace. Back to the Avenue and heavy breathing indicated the effort required to stay in the bunch was high. All pretense of neutrality were discarded exiting the Avenue for the second time. 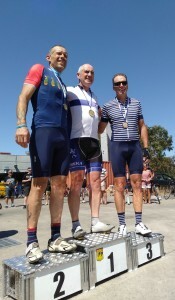 Craig Lightfoot assisted the aforementioned and Peter Canny and Rick Calvert also joined in the fray as a new urgency to reach the high point at Weatherboard was realised. Back through the chicane and the race was on. The field stretched out on the run to Hendersons Road. Through that corner and the cross wind was like being struck by a cricket bat. Up the rise and everyone is either looking for cover, or the front of the bunch to keep pushing the pace. Jeremy Humber is looking to protect his legs after the previous day of track racing, Geoff Martin is lost from the bunch and Al Cureton is struggling to find rhythm. Calvert was keen to keep everyone on the rivet as they turned back onto Avenue Road. He rolled to the front and again the field was stretched out. Canny and Lightfoot joined in the pacemaking and when it looked as though things would ease, Crumpler wound up the watts and had everyone working hard again. The efforts along the Avenue helped set Lightfoot up and he hammers out of the corner and opens a gap…50 metres, 100 metres, the gap is almost 200 metres as he rockets through the chicane. Turns are traded to keep him in sight – although the consensus is that he won’t be able to hold the gap along the Avenue with the ever increasing breeze. Lightfoot is out front and eases when he sees the catch is inevitable. Momentarily the races settles as the bunch reunites. Burke takes off as they turn out of the Avenue again. Looks of exasperation as everyone acknowledges “here we go again”. Aided by the tail wind, Burke is one hundred metres up the road before the bunch finally collects itself and gives chase. This effort sees Cureton off the back. Burke is strong out in front. The bunch do just enough to keep him close, yet he is left out to dry. The catch is made on the last trip up the Avenue, into what is now a strong wind. Some jockeying is done in the bunch as they approach the corner with everyone expecting a major effort. Canny has them in the gutter when Lightfoot goes fifty metres before they reach the corner. Crumpler quickly has his wheel. They take the turn and enjoy a moment of gladness that the head wind is now gone. Ayres catapults off Lightfoot’s effort, he takes a flyer off the front up the rise. Lightfoot and Humber respond and a 25 metre gap opens to Canny and Burke, Calvert is just behind and Crumpler can’t respond for the moment. Ayres, Lightfoot and the rejuvenated Humber set a high pace on the road to Weatherboard. The chase behind is ragged. Canny is virtually solo as Burke had already spent his energy. Crumpler can’t catch Calvert and he can’t bridge to the Canny/Burke combo. Through the chicane and the gap is gradually opening. The chasers are trying hard, however the three in front are shouting encouragement to each other and are racing for keeps – using every ounce of assistance the tailwind can provide. They turn onto Henderson’s Road. They have a large enough gap if their bodies don’t fail them. They keep working all the way to the top of the rise, still shouting encouragement to each other. They crest and now the friendship is over. Humber has popped. Ayres launches first and gets past Lightfoot, opening a vital couple of metres, which he holds to the line. Lightfoot and Humber at twenty metre gaps with Canny and Burke not far behind. Only seven starters in Division 1, which could have easily been just six if not for the time trialling ability of Rob Ellis in making it back from where the race was supposed to start and finish (Henderson’s Road) just in time. The wind served to retard what promised to be an exciting race on paper with the like of Greg Ley, Andrew Rushton, Rob Ellis and Sam Smith all known for their penchant to attack. New riders Matt Elkan and Darryn Reed are a little harder to gauge and one never knows what level Richard Taylor is at. Elkan did a couple of surges. These were shutdown by Smith, who later on tried his own attack – without success. Rushton and Smith tried an attack up the Avenue which was quickly covered. The wind proving to be the chasers ally on this day and making for what one rider described as a benign race – too hard to get away and too easy to cover attacks. The last time up the Avenue saw the speed below 25 Kph with Ellis and Ley both commanding the pace and controlling the race. Ellis is renowned for his last lap efforts and he didn’t disappoint. Multiple surges up the Avenue and then the climb to Weatherboard saw Reed and Taylor unhinged. Five remained down through the chicane and back to the home straight. A solid effort up the Henderson’s Road climb saw Rushton sit up as the other raced away to a sprint finish. Elkan proving superior from Smith. Ellis and Ley next over the line. 110 riders competed across nine divisions at the VCV State Criterium Championships. Northern Cycling hosted the Championships at the National Boulevard circuit in Campbellfield. Riders had a strong tail wind on the down hill straight, which made ensured the sprints were long and fast. 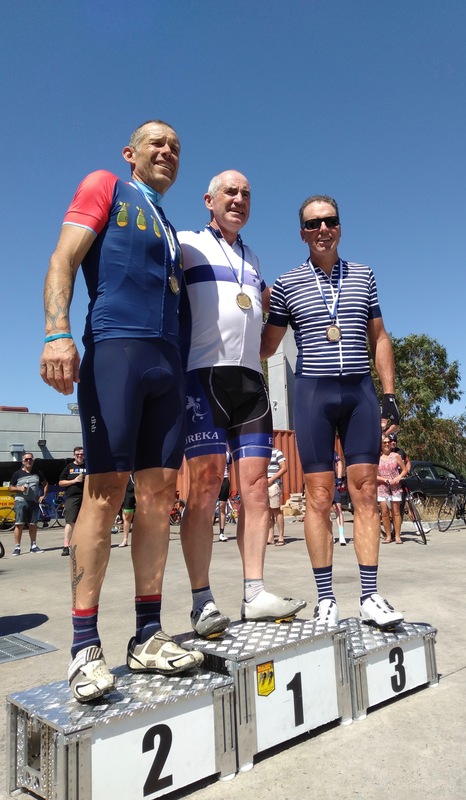 Team EUREKA had nine competitors on the day – many riding the circuit for the first time – as well as John Faulkner (VCV President) performing timekeeping duties. The feature event of the day was the Men’s Division A race. Eureka’s Craig Lee, Jason Birch, Brett Martin and Matt Bowman were part of the massive field of twenty nine riders which was dominated by Northern riders. Attacks and breakaways were the order of the day, with Martin often on the front sharing the load to tow the field back on. Lee was watchful throughout the event, however the fast downhill straight with the ever increasing tail wind would likely suit Birch. 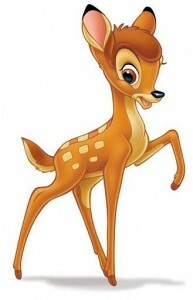 Bowman struggled to stay in contact with the field for the entire race and was frequently seen yo-yoing off the back. On the final lap the field compacted coming towards the final turn as riders started looking left and right for someone to launch towards the chequered flag – when whoosh, Bowman took off around the outside and opened an unassailable lead. It was over in the blink of an eye as the rest of the field sprinted for the minor placings. Eureka had two live chances in the Men’s Division B with Jason Hendry and Peter Gunston leading the charge. A pre-race bet saw Dean Wells earn $10 after not being on the front at any stage of the event. Northern had nine riders in the race which frequently shut down in to the headwind on the back straight. Hendry found himself on the front occasionally, as did the other visitors – Kane Airey (Geelong) and Tim Phillips (Central). Gunston stayed close to the front the entire race and the only two real attacks were quickly shutdown by Wells and Paul Firth (Eastern). The field compacted on the final corner Hendry struck out early with Gunston on his wheel and Airey using the Eureka riders to launch his winning sprint. Eureka had just two riders in Men’s Division D after Bob Braszell was a scratching. Roger McMillan and James Knipe rode brilliant tactics throughout the event which threatened to blow apart in the wind. McMillan went up the road in a breakaway, which nullified that effort. The Geelong & Surf Coast riders presented a united bunch and had their lead-out train poised and ready in the closing stages. Knipe used his track experience to slot into he train and turning onto the home straight unleashed a devastating sprint. After the races, Vince Sinni (Northern Cycling President) and John Faulkner (VCV President) joined with Nick Nomikos from Top Tech Panels to promote the 40th staging of the Benghazi Handicap on ANZAC Day (25th April). Congratulations to Northern Cycling and the VCV for staging a highly successful event. It is a story as old as time itself. It has been captured in writing as far back as the bible. It has been celebrated in the operas and of course, Hollywood has immortalised it on celluloid. We see it everyday…the fight of…Good versus Evil. In the world of veterans cycling, Limit and the Middle-markers are but small parts. 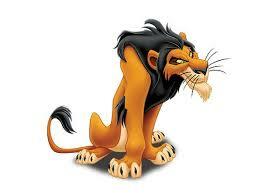 For in this tale, Scratch is the Evil and Second Scratch is the Good. The summer heat had been swept away by the storm of the previous morning. The winds softened and the clouds had cleared. It was a glorious day for a bicycle race! The bold and the beautiful set off from Limit at 24 minutes. Mal Rock promised to look after Marika Ley who is still learning the ropes. Off into the light headwind they went, Marika all nerves, Mal all smiles. Graeme Parker, Robert Young and trial rider Darryl Brown were next away at 18 minutes. Brown quickly proving just that little bit faster than his mates. Bob Morley and reigning (also dual) Aggregate winner made his much heralded return to racing in the 9 minute group. Danny Whelan and Dan Crook were also making their 2019 debuts. Tim Tyler and Mark O’Callaghan made up the bunch. The 7 minute group was full of journeymen – Shaun Martin, Steve Biram, James Knipe and Brian Ure – oh the adventures they have each had over the past six months. 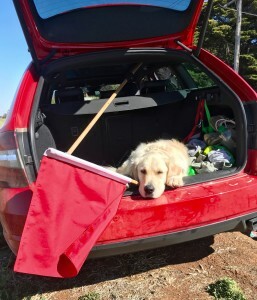 The most journeyed of them all – Jim Crumpler – had forgotten an important piece of kit and missed the start whilst dashing home. For the others, there fate was sealed with so few to carry the flame. As gallant as those in the front part of the race were, this story is not about them. 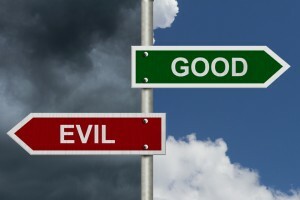 For this story is about Good and Evil. At 5 minutes rode Peter Canny, Ash Burke, Grant Dawson, Geoff Martin, Jeremy Humber, Matt Angus and seventy two year old – Bob Braszell. A large bunch, yet just one minute to spare over the 4 minute group of Stu Brien, Peter Kiel, Andrew Rushton, Richard Taylor, Dean Wells and trial rider Darryn Reed. Such a small margin meant the 5 minute bunch was always in the crosshairs of the chasers. Humber was lost early and Martin was dislodged climbing out of Addington. For the chasers, they lost Rushton early and Taylor as they caught their target less than a quarter into the race. The most formidable 2 minute bunch (technically Second Scratch, however it doesn’t count when there is a solo Scratch rider!) consisted of Craig Lee, Andrew Sullivan, Dave Ogilvie and Greg Ley. They enjoyed a two minute advantage over Tim Canny who was keen for a solid hit out. Ogilvie was lost early and that made the task that much harder for the 2 minute crew. They picked up Rushton, however the juggernaut that is Tim Canny would steamroll them by the 20 kilometres mark. Play time is over boys – jump aboard the train, you’re all Scratch men now! A supergroup of eleven riders had formed out on the road with the 4, 5 and 7 minute groups all combining. Better still, everyone was contributing! Brien, Kiel, Reed and Wells, Braszell, Burke, Peter Canny and Dawson, Knipe, Shaun Martin and Ure. They closed in on the 9 minute group, then an attack as soon as the merge occurred, had riders scrambling for wheels left, right and centre. A brief lull before turning onto Black Bottom Road, then another attack had riders strung out in a long line. Plenty of targets ahead as the Out-marker groups came into view, ensured the pace stayed high. The group staying tight on the left side of the road to try and whittle the “hangers on” away, however the group kept enlarging as bunch after bunch was caught. One final effort before turning off Black Bottom Road could not shake anyone free, however now this mega-group had the race lead. The hunters and had just become the hunted! Cameo pace making efforts from McMillan are noted, however the bulk of the pace work is shouldered by Brien, Wells, Kiel, Reed, Braszell, Burke, Canny and Dawson. Fast forward to Weatherboard and even though the mega-group has kept a high pace, many passengers are still clinging. Brien leads the bunch off Ercildoune Road and onto the Weatherboard climb. Wells is on the far side of the road. Canny is present and even moves into the lead. A select group is forming. The climb, the crosswind and the pace all take their toll as the mega-bunch explodes. Nearing the top, Wells rides clear and opens a gap – maybe fifty metres. Brien and Canny lead the chase group. Kiel and Braszell are present. Dawson and Reed recover and join the chase. The seven at the front of the race have worked hard for this chance to win the race…sometimes Good wins. They race inside the final two kilometres…however a dark shadow has emerged behind them. The Evil have crested the Weatherboard climb and can see the Good. The Evil can almost taste victory and they pour down the road in pursuit of the Good. Wells is still clear as he rides down and out of the dip. Just one kilometre between him and victory. The rest of the Good is close behind. Dawson and Reed leap out in one last effort for glory. Brien and Canny slingshot off that attack. Kiel and Braszell launch late in a final bid. They all sweep past Wells. Canny has the lead in the shadow of the big tree, he eases enough and Brien takes the win. Kiel is third and the outstanding Braszell takes fourth. The Good has prevailed over the Evil! 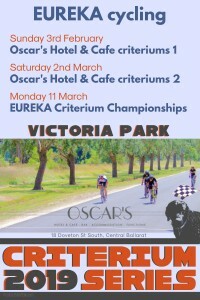 Forty two riders contested criteriums across four divisions on a gusty Sunday morning at Victoria Park. The wind helped keep the temperature down as the record number of entries scorched around the circuit. Seven riders were having trial rides with the club. by members returning to the club after a few years away from veterans racing. Rob Kinna proved too good in Division 4, winning over “crit monster” Brad Eppingstall and trial rider – Pete Harvey. Darren Reid is new to town and won Division 3 as a trial rider. New member – Geoff Martin – continued his good form and finished second ahead of Mark O’Callaghan (on his way back from injury). Mick Carter was another trial rider to taste success. Carter found the smooth, flat and fast criterium circuit much more to his liking than the the previous week’s up and down circuit. New member – Matthew Angus – was back on the podium and James Knipe collected third place, narrowly holding trial rider Alan Cureton at bay. An impressive line-up in Division 1 was all business after the neutral lap was out of the way. The speed barely dropped below 40 Kph for the next three laps as the likes of Matt Bowman, Andrew Sullivan and Stu Brien tore around the circuit. With that out of the way, trial rider Matt Elken instigated some attacks and the race developed into a surge and sit affair. 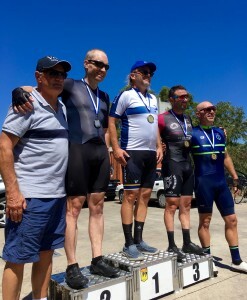 Twelve riders remained in contention at the bell lap with big hitters such as Jason Birch, Greg Ley, Jason Hendry, Tony Mirabella and Peter Gunston amongst those present; however Damien Keirl blew the opposition away in the sprint finish, winning by many lengths over Craig Lee and Elkan. Huge kudos to Bob Braszell staying with the bunch until the fireworks on the last lap!